Posted December 2, 2012 by Alexis Eastman & filed under Uncategorized. My name is Katherine and I am a theatre artist. I recently started working for Paprika as a co-facilitator for the Creator’s Unit, only a year after moving to my new home, Toronto. I have lived in many Canadian cities, including Vancouver, Montreal and Edmonton. I have, in equal measure, both loved and despised all the cities I have lived in, much like many of my romantic relationships (too much info?) but have broken up with with them for the cooler, older, dreamy-er Toronto. And I gotta say, so far things between me and this city are going really well. My parents have visited and they approve, which is great. And I think Toronto just really loves me for me. Toronto is not embarrassed to be seen with me. Ever. There is never a time when it’s all, “sorry, but I’m busy. I need to be alone”. I really think we’re ready to commit to a long term relationship. But as an actor and a writer, I need to know my city will be there for me, inspiring, challenging and supporting me in my work. Perhaps that is why I have moved around so much. I love seeing what different cities have to offer. I love noticing the differences between artistic communities, what they are trying to communicate and how general aesthetic of a community helps define the art that is made. I’ve been thinking about this a lot as i start work with Paprika’s Creator’s Unit. This group, which meets weekly to create a piece that eventually ends up in the Paprika Festival, has a particular emphasis on ensemble work and collective creation. This focus on young artists coming together to create in an non-hierarchical atmosphere is vitally important to the future of our theatre community. I am so excited to see how these artists will shape and influence the Toronto theatre scene in the years to come. I’m so impressed by what the Creator’s Unit does that I have to wonder about the participants: Where will they find their artistic home after turning the Paprika-non-eligible age of 22? What kind of models can Toronto follow for nurturing them into their next decade of creativity? That’s why I’m so happy to share what I learned recently on my trip to Chicago, another artistic community that shares a lot with Toronto and never ceases to inspire and amaze me. I really like Chicago. They call it the Windy City which confused me because I have not experienced any more wind there than other North American cities I’ve had the privilege of visiting. Then my Friend’s dad told me it was because of its ‘windy politicians’ (BE-dum-CHING!). But seriously, seriously. It’s a wonderful place to visit and my particular love affair with it has largely to do with its theatre scene. Chicago’s theatre is innovative, and very exciting for any theatre artist looking to be inspired. I visit Chicago and its theatre community on a somewhat frequent bases because one of my very best friends lives there. She is also a theatre artist and has shown me some of the best that Chicago has to offer. 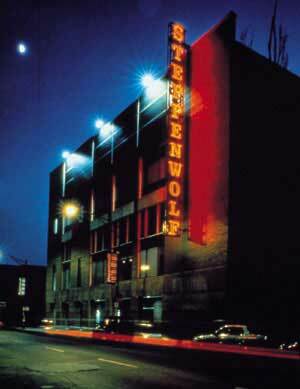 I have never ever been disappointed: Red Moon Theatre with its breathtaking puppetry, The Hypocrites and their innovative re-working of the classics, and of course Steppenwolf and the phenomenal acting talent that comes from there. These have been some of the most incredible theatrical experiences of my life. I think it would be interesting to have more of an artistic exchange between Toronto and Chicago. I am not sure what that would look like, but I think we could learn so much from each other. And in this spirit, I recently performed in Chicago and it was some of the most fun I’ve had in a long time. 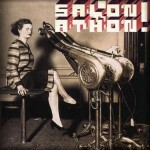 At a weekly event called “Salonathon” I shared some new work I have been experimenting. I was somewhat apprehensive about showing it, but the event is catered to artists who want to try out new work, so it was naturally a good fit. I was slated at the end of the night and had the privlege of watching many of Chicago’s young artists try out new ideas and take creative risks. The audience was very supportive but not in a lame “I’m your mom and I’m proud of everything you do” kind of way. They were just very present, perhaps because many of them were artists themselves. I got up nervously to do my piece. It’s a series of songs for a faux-musical I am writing about dyslexia (finally! a musical about dyslexia, AMIRIGHT!?). By the second song people where clapping their hands and stomping their feet to the songs (which were unaccompanied so maybe people just thought I needed some help). The support and excitement and sense of community was exhilarating. I mentioned to the crowd that I was from Toronto and immediately afterwards two other Toronto actors who were visiting Chicago came up to me to chat. It was exciting to see that intermingling is going on between the two cities and that artists are sharing with each other. I would love to see it happen more because I think the two cities, and their respective artists, have a lot to bring to the table. And the possibilities for learning are limitless. Can we take the joy and support that creates such wonderful results for our young Paprika Participants, and bring it further, into our whole professional community? Chicago is doing it. We can do it too. 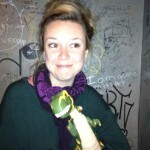 There are mini dinos in Chicago. This is proof! Katherine Cullen is a Toronto-based theatre artist and associate artist/company dramaturge for Outside The March. She works for the Paprika Festival Creator’s Unit, and otherwise can be found writing theatre, creating theatre, and talking ’bout theatre. She is friendly and loves to connect with other artists so feel free to contact her.